Today I have another in a series of guest tutorials on what to do with your scraps. Abby blogs over at Things for Boys she is a mother to Roman and long time sewer/crafter. 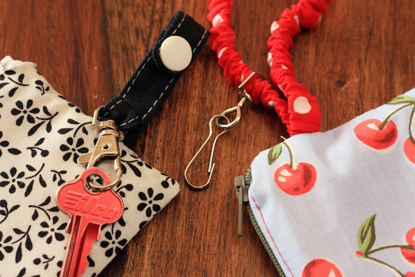 Today she shares her method for making a little zip purse big enough for all the essentials and with a handy little strap to pop your keys on. Do you ever go out and all you want to take is your phone and maybe your keys and a credit card? But you don't have any pockets? This little wallet is the solution. 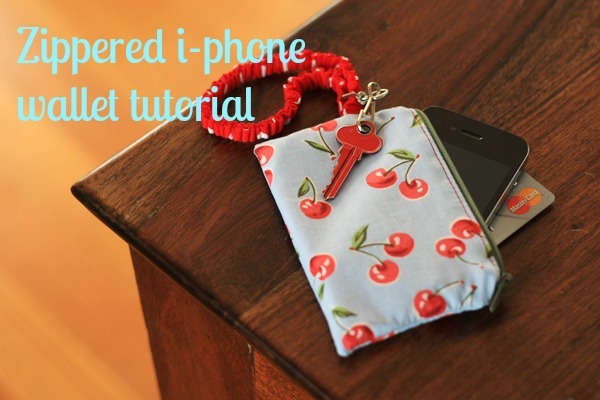 It snugly fits your iPhone and a couple of cards, and I added a handy little clip for my keys. I originally made this to clip to the Ergo when I go out for a walk, but it's really handy so I've been using it for more than just that. It's such a quick project that I've been making them up for friends too! 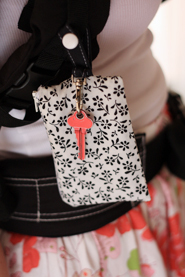 It's a good stash buster and if you've got any lanyards laying around, they are perfect to harvest the little key ring piece off. You can see I've put different straps on each of these. one has an elastic wrist strap and the other has a snap fastened strap so that I can hook it on the Ergo. Use the measurements above to cut out your pieces for the wallet. If your fabrics feel a little thin, then add some interfacing to give the wallet a little more body. I don't see the point in re-inventing the wheel, so here's a link to a great photo tutorial by freckle showing you all the steps you need to put your wallet together. In step 9 of the tutorial, also make sure to pin in your strap pieces. On the main fabric side, sandwich the strap pieces in between the 2 right sides of the main fabric, pointing in towards the middle, on one side of the wallet. When you sew around the edges in step 10, sew over the strap pieces and then reverse over them and come forward once more. This will make sure the strap is nice and secure. *These dimensions are for a naked iPhone. If your phone has a case/cover, then I'd suggest adding 1 cm (1/2") to each measurement to make sure your phone fits in there. 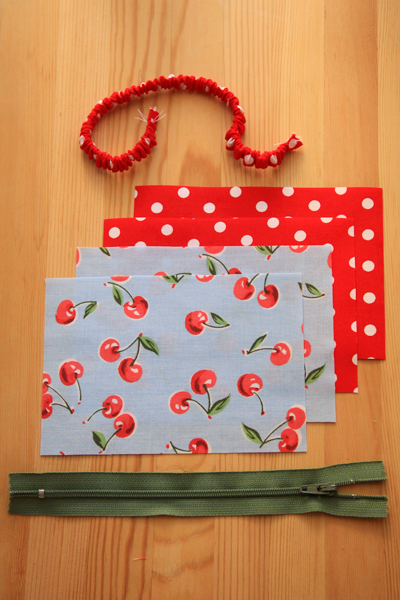 **For the elastic wrist strap, I used 20cm (8") length of elastic covered with a 40cm (16") tube. For the Ergo wallet, I used a 10cm (4") piece and a 5cm (2") piece, adding snaps to the ends. I also used a scrap folded over to secure the key ring. Cool tutorial! I hate cramming my pockets, but sometimes I just don't want to carry a huge bag, either.